Despite the widespread idea, extended from the economic crisis, that young people from now have to live a difficult time, there are still those who do not resign themselves and fight for what they want to try to contribute their bit to the longed-for social change. This is the case of Noah Christian, a young 24 years old designer born in the German city of Wolfsburg with roots Ferrolanas. “My grandmothers, both from the maternal and paternal side are from Ferrol and my mother too, and today they continue to live in the city as well as my uncles”, says the designer currently living in A Coruña, after living until he was 19 in his native city. 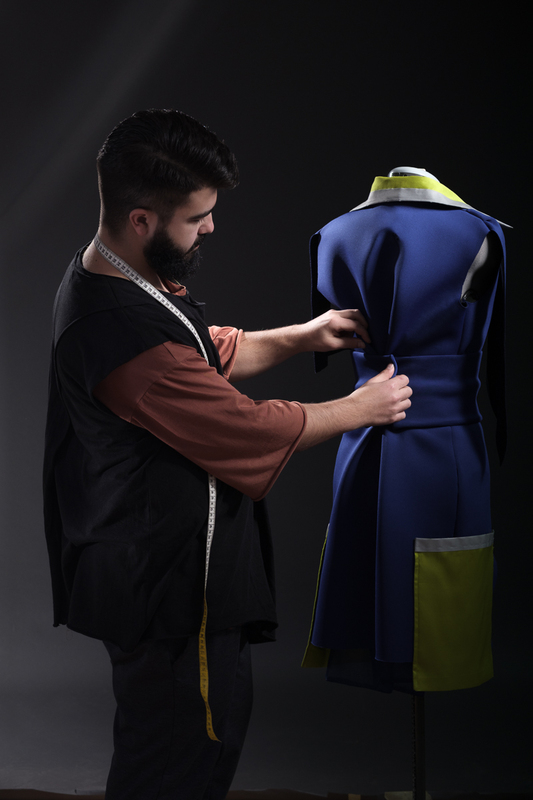 So, after graduating last year at the Fashion and Design School Goymar Galicia (A Coruña), he decided to bet everything and set up his own brand in April 2017 through a website with includes an online store that began operating last February. Its base of inspiration is Japan and everything that surrounds the Japanese country, so in his designs, whatever style they have, they will always have an Asian touch like silk, mikados or neoprene. He has four collections behind him already and next October he will fulfill one of his dreams: to present his new collection at the Paris Fashion Week. “It will be a private Fashion show for emerging designers and independent brands”, he explains, at the same time that he says that he has already confirmed an interview for those days with the prestigious magazine “Vogue” and three publications starting the 7th of September with “Vanity Fair”. Noah Christian comes very often to the city that illuminated his way, apart from enjoying time with his family, he cames to attend events such as the Pantín Classic that ends this Sunday. A true admirer of Ferrol, the young man celebrates the next start of the Fashion degree that will begin this new year. “It is a pride that fashion continues to grow here and show that not everything is Inditex in Galicia,” he says.